"It is my experience that a proper course of standing meditation can help correct or heal many conditions, both external and internal. It does so by using the body’s own ‘innate wisdom’ and with a good dose of common sense. The exact methods used will vary with the specific problem or imbalance, but no matter how one starts, there are certain common principals of development. 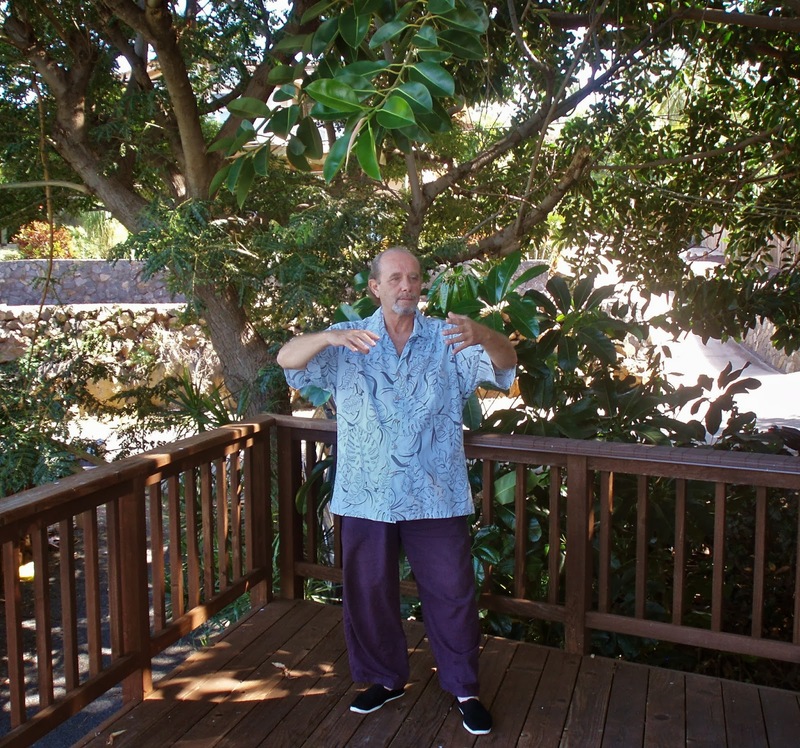 Basically Zhan Zhuang uses relaxation and a constantly refining balance to loosen the muscles and sinews and open Chi flow in order to correct imbalances." 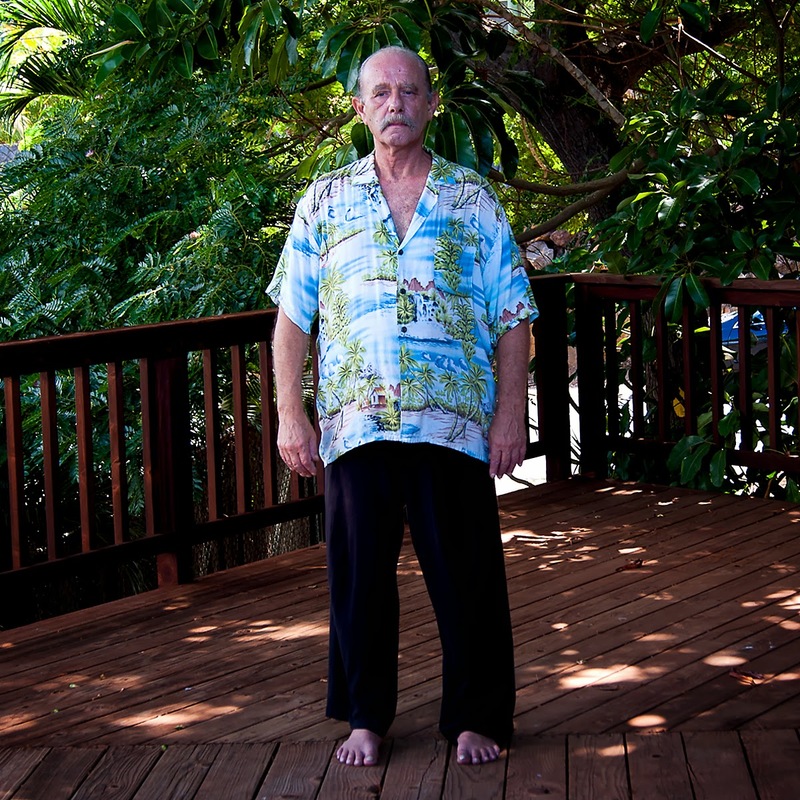 "One eventual goal of our standing meditation is Whole Body Breathing. Although, once this is achieved, that is, hardwired and happening on it’s own, the sense of breath will seem to go away as our super-refined focus becomes fully absorbed in feeling the Chi, both inside the body and out. 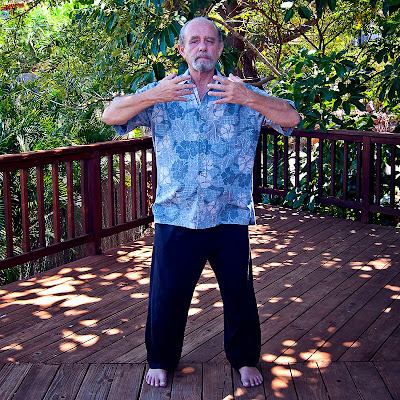 Here is a good method to begin unifying the breath. 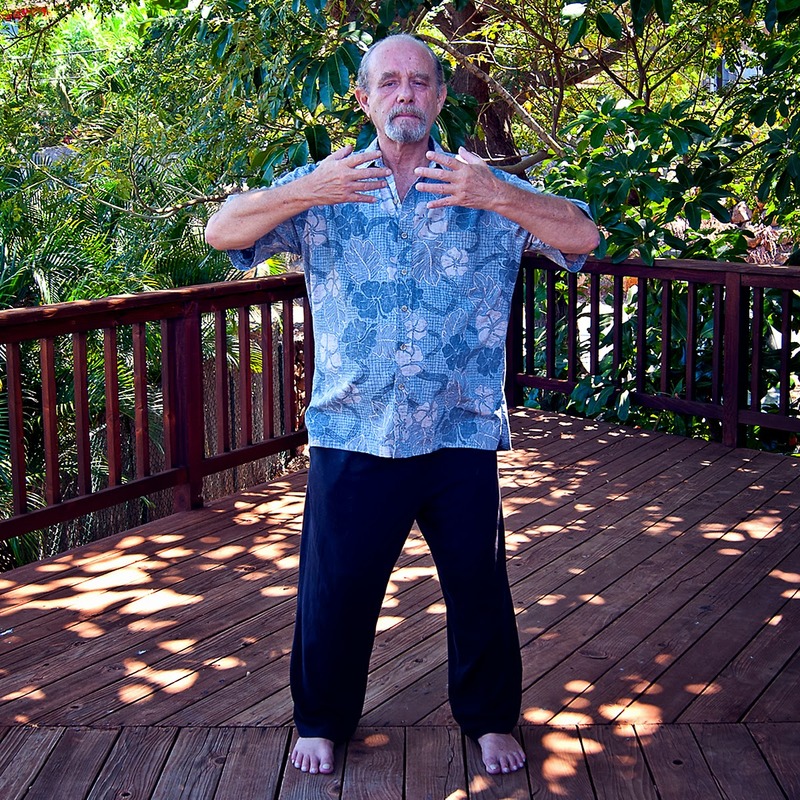 Start by breathing into the upper back and lower belly (Dan Tien area) simultaneously. As you continue to relax, you will notice the breath in the upper back will seem to fill more and more downward while the breath in the lower belly seems to expand upward." 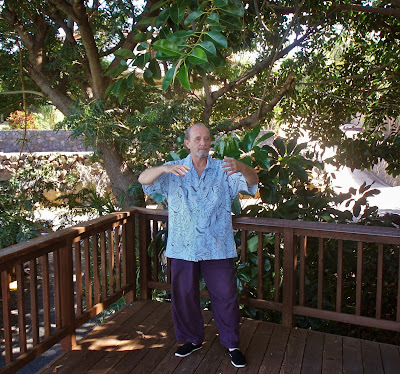 "We all enter into the practice of Zhan Zhuang having sustained at least some sort of injury, even if it has apparently healed by itself. When injuries occur, especially anything fairly serious, the body goes into a balancing act and adapts. This means that new energetic and nerve patterns are created in the body’s effort to heal itself. What happens unfortunately, is that these patterns, which are supposed to be temporary modifications of the original matrix during the healing process, often become fixed. When this occurs, these temporary patterns become embedded in the subconscious and as such are no longer easily accessible through conscious manipulation. 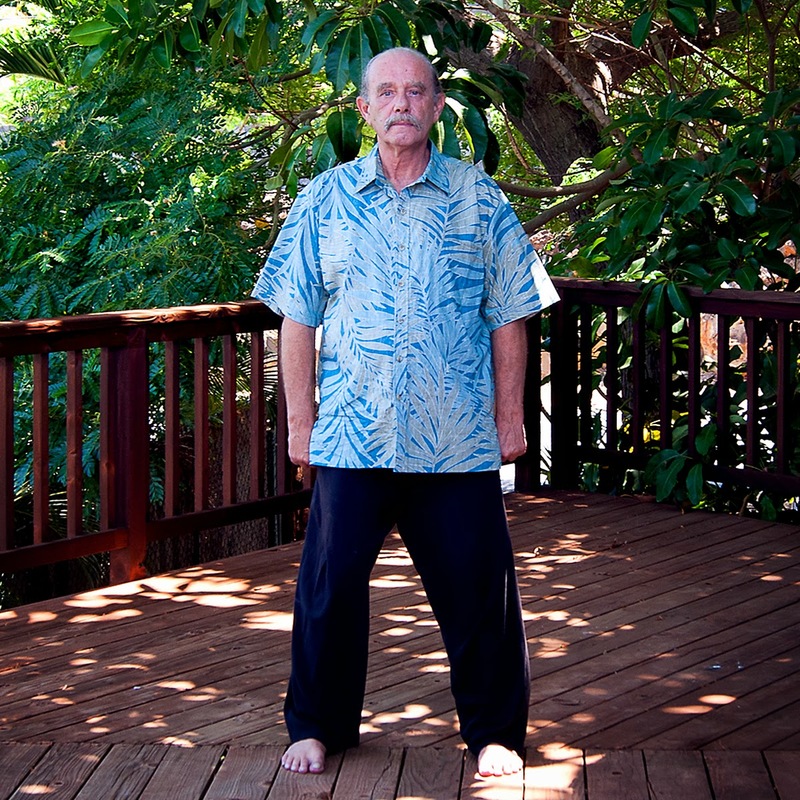 This is the brilliance of the standing exercise, the ability to, over time, access these aberrant subconscious patterns and indeed correct them, meaning return them to their original matrix, prior to injury." 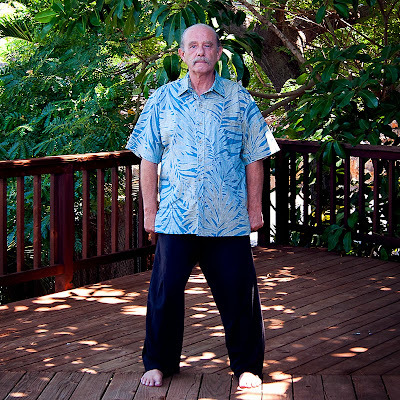 "The first time I felt this in a profound way, I was standing in a Wu Style (Northern Wu) posture. One moment I felt normal and the next it felt as though I had completely bent my knees such that I was very close to the ground. When I opened my eyes to check, I was astounded to find that my overall posture had only sunk about an inch in total. What I had actually felt was the majority of my Chi descending step-by-step into the ground."